Dish Network first opened its doors for business in 1996 by Charlie and Candy Ergen along with Jim DeFranco. Since then, Dish Network has become one of the leading providers for satellite television programming, expanding their services to include the Concord area. Dish Network has various viewing packages that range from basic to everything. For entry level service, Dish Network’s Welcome Pack and Smart Pack offer 40+ and 55+ channels of viewing, respectively. These packages offer favored channels such as HGTV, History Channel, Food Network, TBS, Hallmark Channel, Comedy Central, Fox News Channel, and others. America’s Top 120 and enhanced “Plus” television programming has over 190 channels to view. Subscribers can expect shows such as USA, CNN, CMT, Disney, ESPN and E!, plus other mainstream content. America’s Top 200 and Top 250 offer 240+ and 290+ channels. These packages offer an extensive list of shows and also include popular programming such as Disney XD, Bravo, Nick Jr., NFL Network, MLB Network, The Movie Channel, and the DIY Network. America’s Everything Pak offers a complete package for virtually everything a television fan could want. In addition to all of the channels available from the other packages, the Everything Pak has over 320 channels to choose from, plus the inclusion of premium channels like HBO®, Cinemax®, SHOWTIME®, and STARZ® movie channels. Although satellite television programming is Dish Network’s primary business, in recent years, the company has expanded to other products and services. DishNet: This is Dish Network’s first entry into providing satellite-based Internet service. DishWorld: A video service that was made available on Roku streaming video receivers. Content for DishWorld customers is primarily centered on international news broadcasts. Hopper: In 2012, Dish Network introduced its own DVR (digital video recorder) to save or record television programs. What sets this DVR apart from the others is its ability to allow watching recorded content without commercials; it hops or skips the ads. Hopper with Sling: This is an updated version of Hopper with the ability to watch Dish Network content online via a computer or mobile device with the Dish Anywhere mobile application. Viewing content on phones or tablets is currently available for Apple products, but not Android devices. 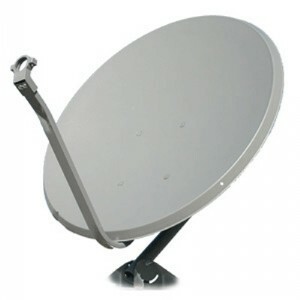 Tailgater: This is a portable dish antenna that can be used anywhere to receive satellite signals automatically. The device can be used as a stand-alone unit or connected to compatible Dish receivers. In the future, the satellite cable company has expressed interest in expanding its operations even further. But for now, there are many options available for those interested in receiving Dish Network services in Concord.